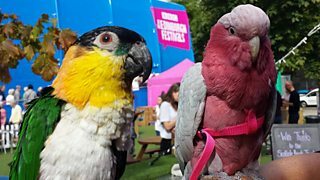 It’s back, it’s one of my favourite places to be during the festival, it’s got pink and blue tents and it’s got a brand spanking new location at George Heriot’s School – it is of course the BBC at Edinburgh festivals. This is a brilliant place to head to with kids during the festival as they have free kids activities on every day and the space itself is always fun to explore with deckchairs, ping pong, a huge tv screen and various food stalls…. On Sunday 14th August they have CBeebies presenter and author Cerrie Burnell and on Friday 26th August they have Steve Cole, bestselling author of Stop Those Monsters! and Magic Ink. Apply for tickets here. Starting from Monday 8th August, there are daily craft and music activities for kids in the Castle tent, with Sparkle Arts appearing on Monday 8th, the RSPB doing activities on Tuesday 9th, Travelling Tales on Wednesday 10th, Caterpillar music on the Thursday 11th and Creative Crafts finishing off the first week on Friday the 12th ! So…lots to be starting off with and I am sure there will be plenty more announced during the festival too so keep an eye out on their facebook page for more regular information about events – they are very good at updating daily during the festival about what’s going on. 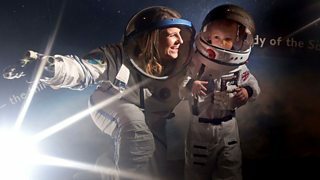 This entry was posted in Free events and happenings and tagged arts and crafts, BBC tent, bbc tent 2016, bbc tent at edinburgh fringe 2016, bbc tent for kids, CBeebies, cbeebies at edinburgh festival, dynamic earth, free events for kids by Edinburghfestivalsforkids. Bookmark the permalink.